Although a non-spooky dessert in looks , it is spooky in some essence. So the trick is being an eggless cake , I tried avoiding Baking soda and Baking powder this time for health and allergy reasons. For the first time in life, I developed a recipe (on special demaand) which is devoid of any artificial agents and starters. It was on my hit-list since long, but wasn’t able to give it a shot. The softness and the sponge of the cake is as good as the ones with egg and the ones those use baking powder. I hope that this recipe reaches the right person and benefits him/her in the long run. So lets solve this mystery now and learn about this spooky cake ! 1. 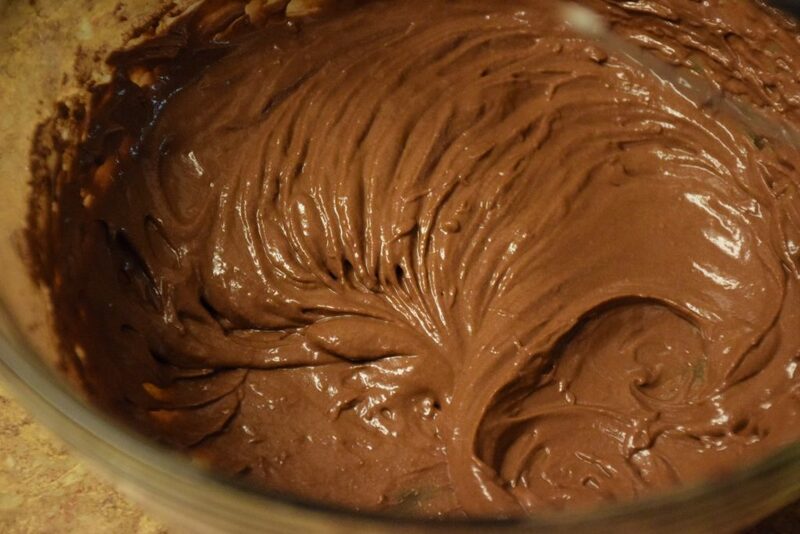 We start with baking the eggless chocolate cake. 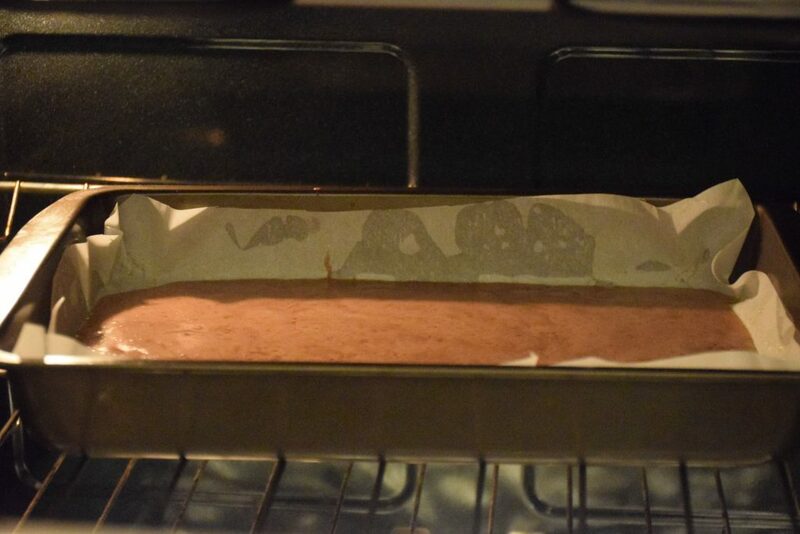 The cake will be a thin sheet which is easy to roll without cracks. So take a pan or tray which is at least 9″ by 11″ in size. Spray or oil it with non-stick baking spray , line with parchment paper and then again grease it with butter or oil. Keep it aside. 2. 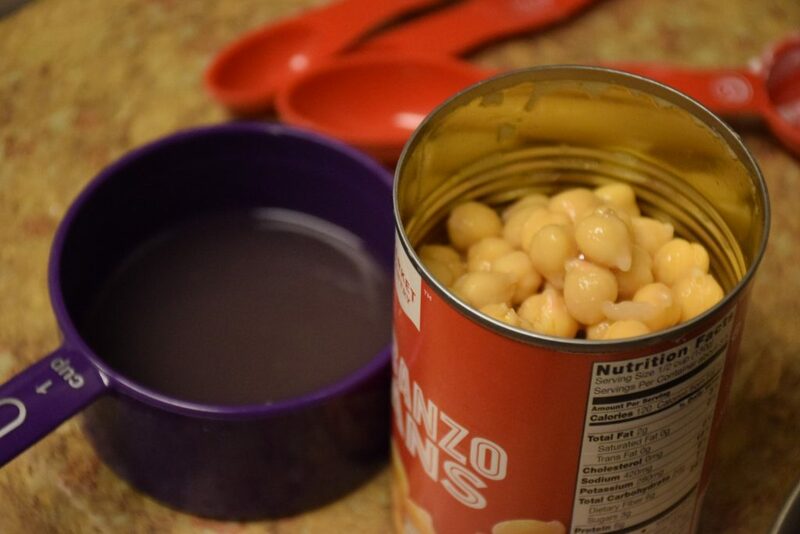 Open the can of chickpeas , filter out the brine water(1/2 cup) and set the chickpeas aside in a container in the refrigerator or on the counter for a different use. Follow this link to get ideas : how to use these chickpeas. 3. Sieve the dry ingredients viz. 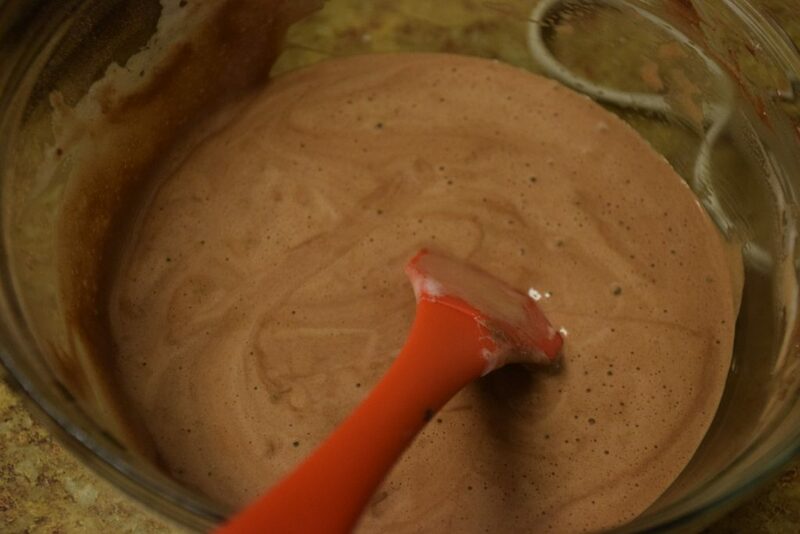 all purpose flour and cocoa powder in a separate bowl ready to be used. Preheat the oven to 400 degree F (200 degree C or 392 degree F to be precise). 4. In a bowl ,add the chickpea’s brine or aquafaba (as it is called) and beat it on high speed till you get a foamy white mixture. 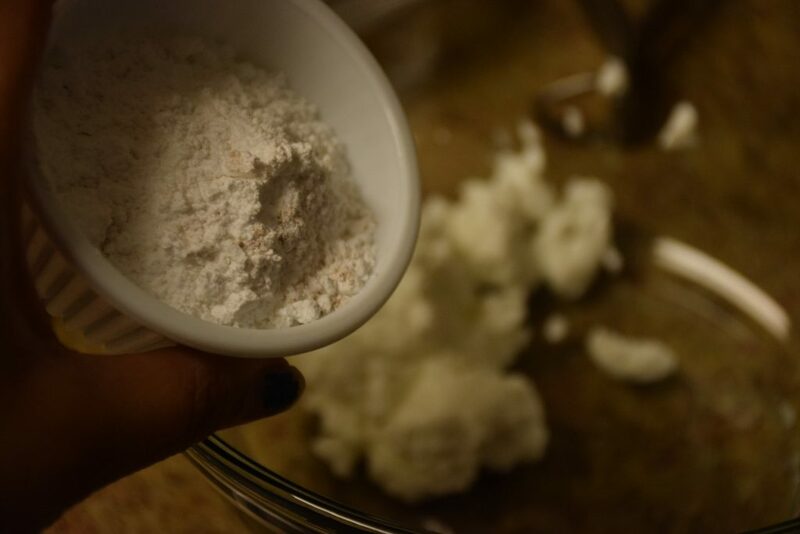 Also add powdered sugar (3 tbsp) here,but only 1 tsp at a time. 5. In a separate bowl, goes in the greek yogurt and beat with a different blade at high power. You may use regular yogurt too. In that case don’t add milk in the recipe and adjust the quantity of all purpose flour by increasing it in 1 tbsp level.Add sugar in parts and keep beating at high power. 6. Add the oil, milk and vanilla and stir them again. 7. 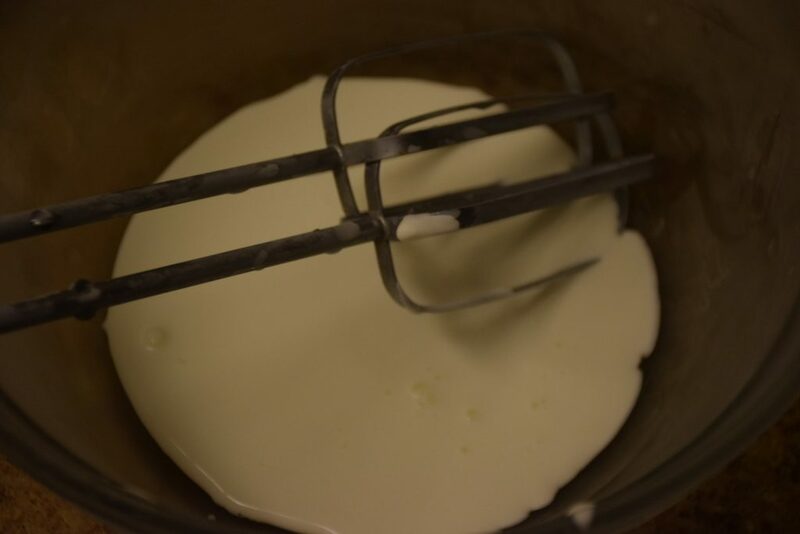 Now add the flour mix in parts and fold the batter . 8. 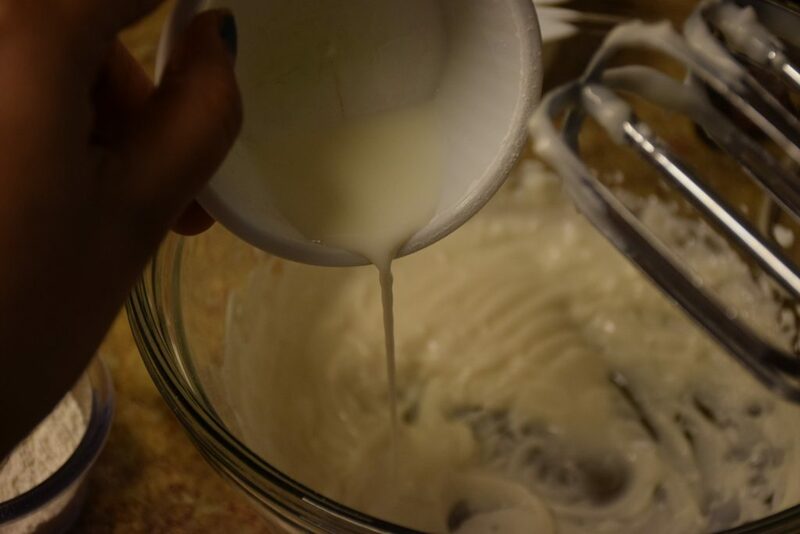 Gently fold the foamy aquafaba with the batter with spatula, such that it doesn’t get flat. The air incorporated in the aquafaba will help in the cake-rise and sponginess too. 9. 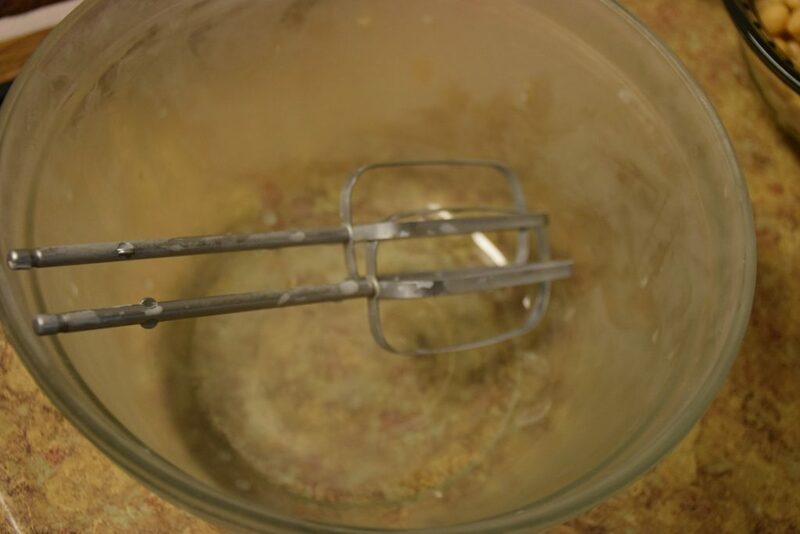 Pour the batter in the prepared tray and tap it multiple times on the counter so that the excess air escapes and the bubbles pop out. 10. Bake it for 10 to 12 mins. Check after 10 mins for doneness. If the toothpick inserted in the center comes out clean, it is done. It bakes pretty fast, because of the thin layer and high temperature. 11. Take it out. Let it cool down for 10 mins. It cools quickly too. In the meanwhile , lets preparare its filling. 1. 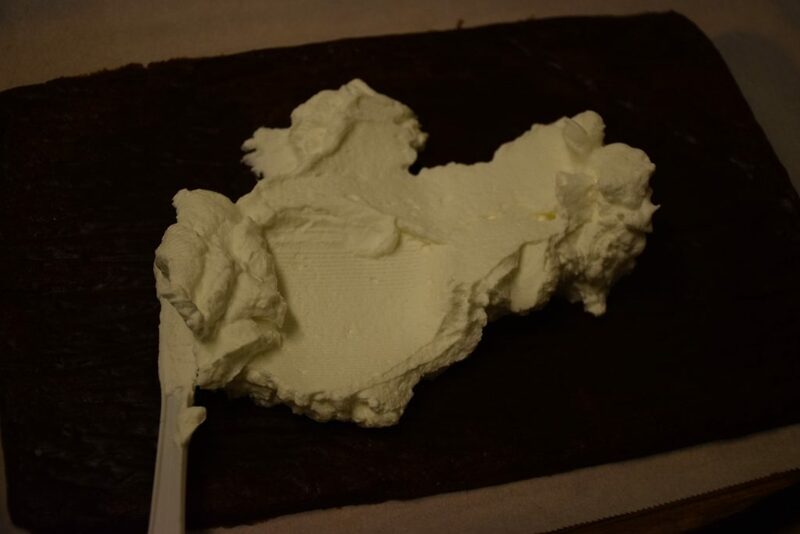 You may use ready-made cream cheese spread (strawberry / plain) if you like it. 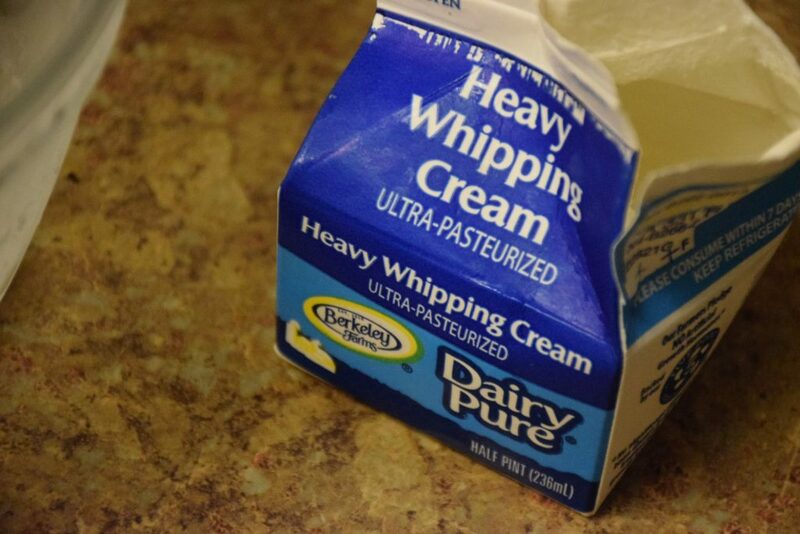 Or you may prepare the cream filling using heavy whipping cream. 2. For this keep ur blades, and bowl in freezer for 5-10 mins until they are chilled. 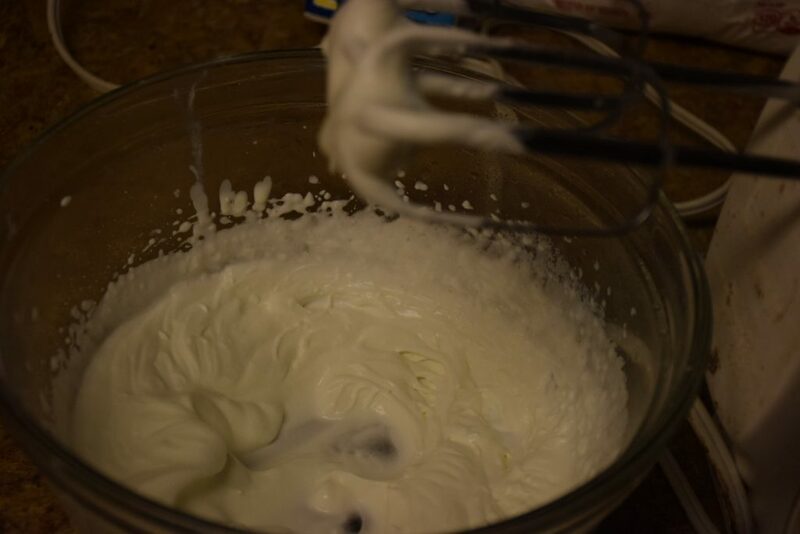 Use cold whipping cream and powdered sugar. 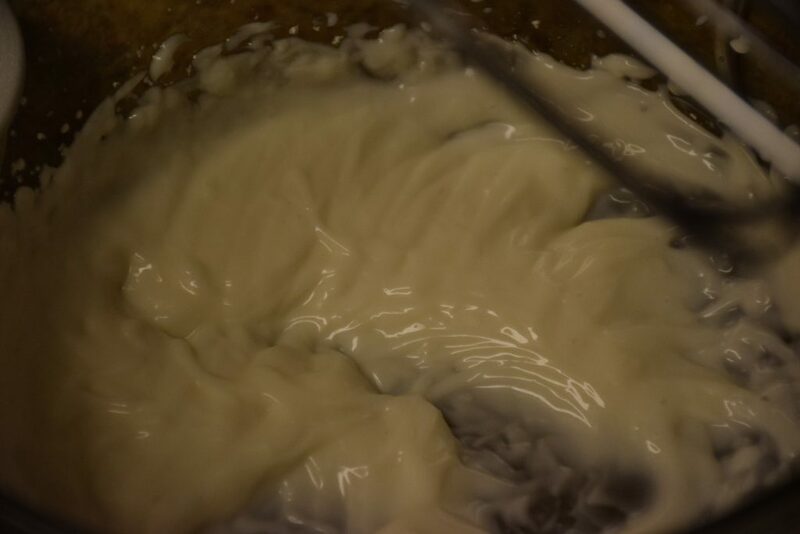 Start beating the cream at high speed untill it gets thickened. 3. 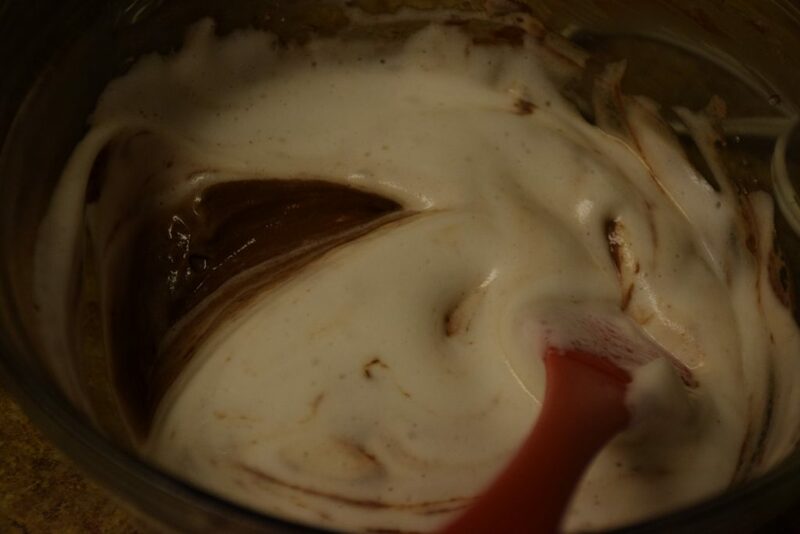 Add sugar 1 tsp at a time and continue beating till you see stiff peaks. 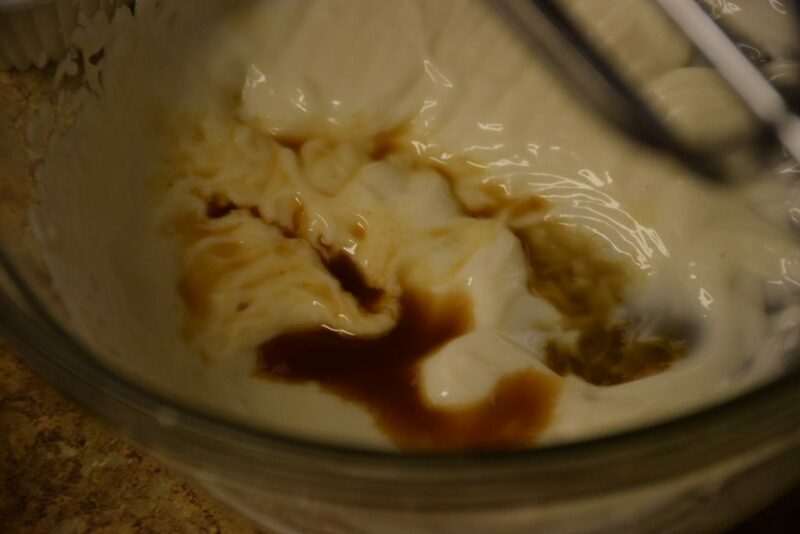 I added in all 6 tsp sugar for 150 ml of cream. 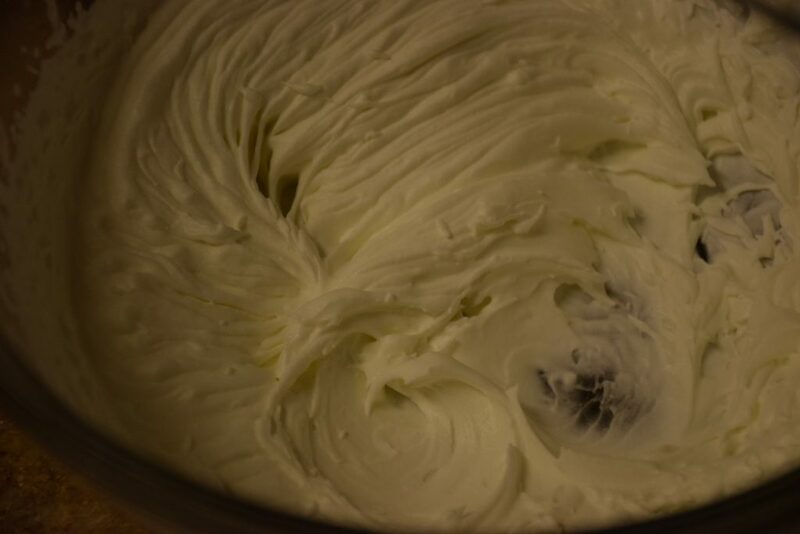 The cream would not fall off even if you invert the bowl. 1. 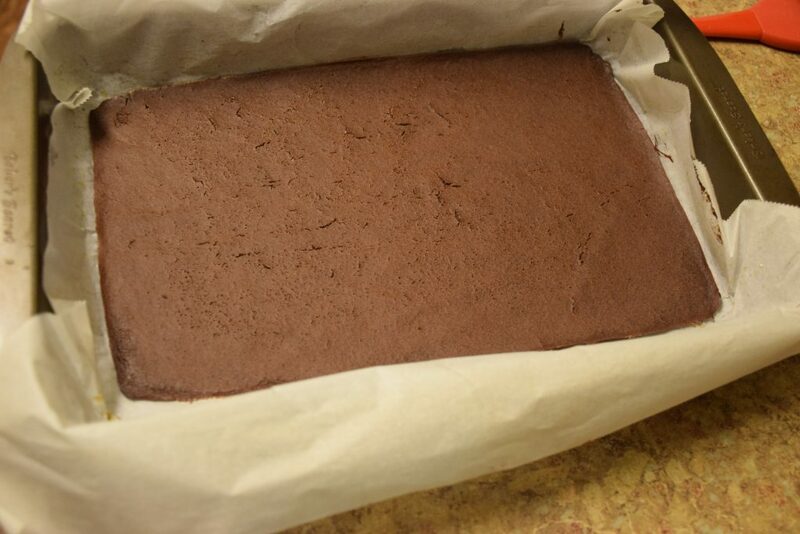 Carefully invert the cake on a tray lined with parchment paper. 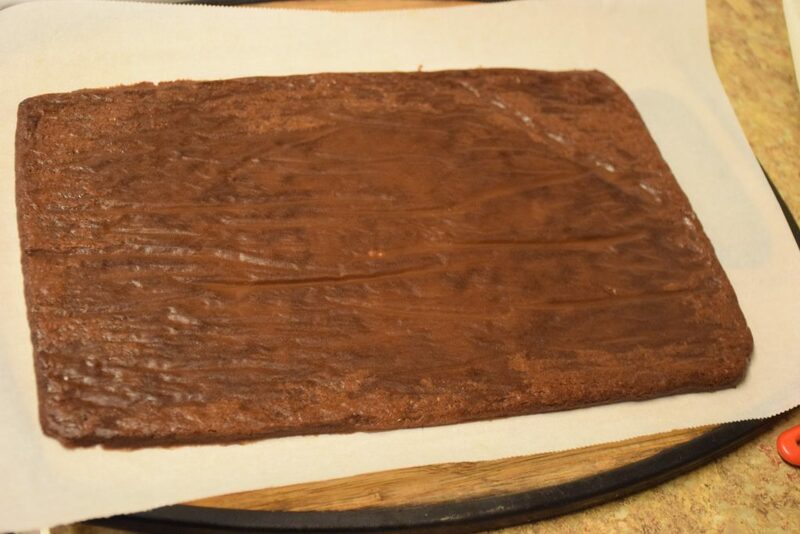 Peel off the parchment paper coating gently. It would come off clean , if the cake is perfectly baked and cooled. 2. 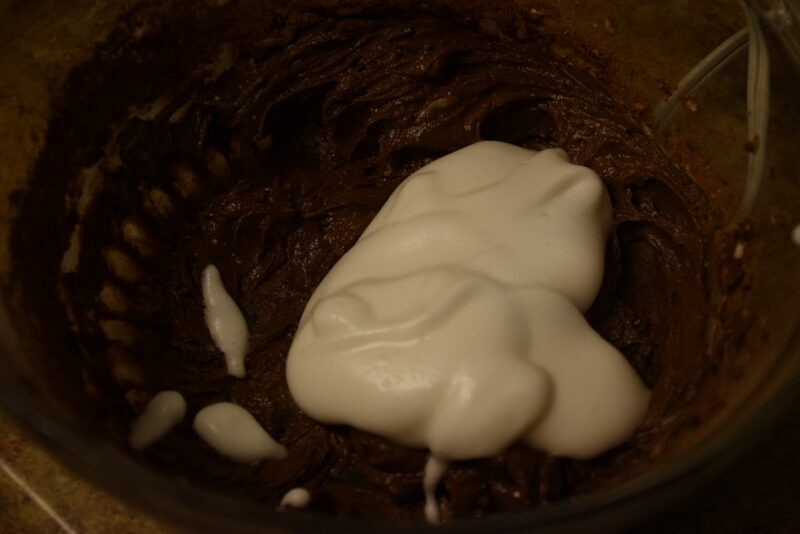 Apply the filling just prepared with a spatula or spoon and spread it evenly in an even thin layer. 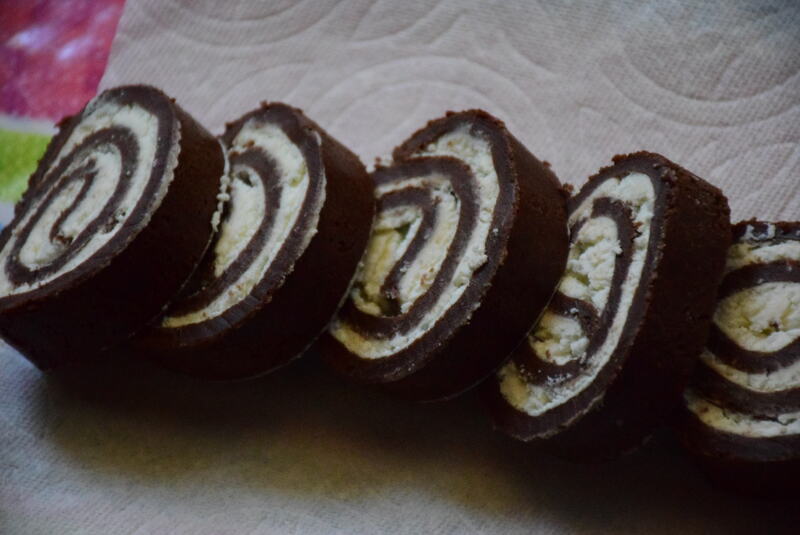 Don’t add too much cream or it will get tougher to roll. 3. 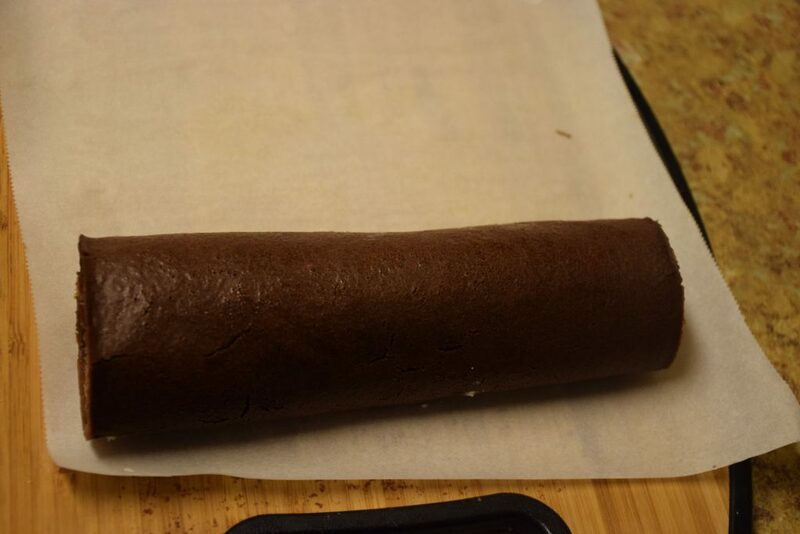 From one side (the width of the rectangle) start rolling the parchment paper with the cake in a tight roll. 4. Wrap it in a plastic freshwrapp or parchment paper.Refrigerate it overnight or freeze it for an hour. 5. Now cut slices of equal thickness and serve. Alternately you may garnish it with chocolate ganache or dust it with powdered sugar before serving. Enjoy this chocolatey cake this season. If you like it, please leave your reviews and share it with your friends !! 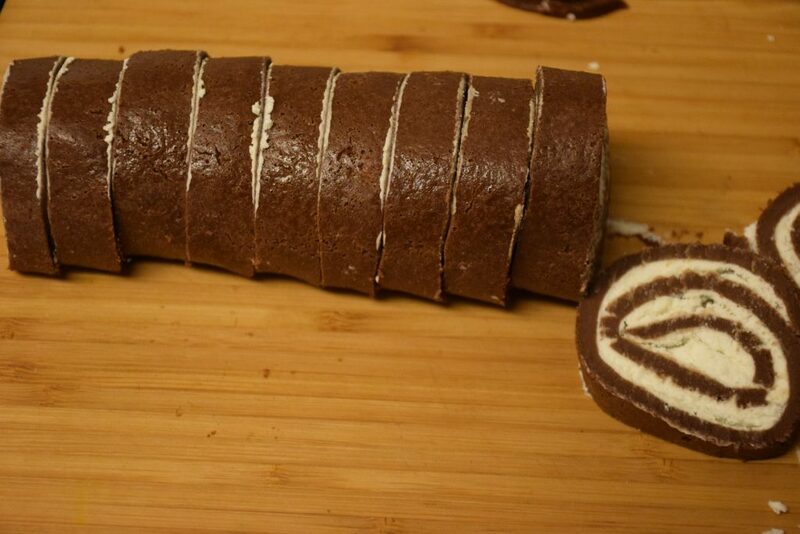 A smooth start-to-finish cake with a shiny coating. 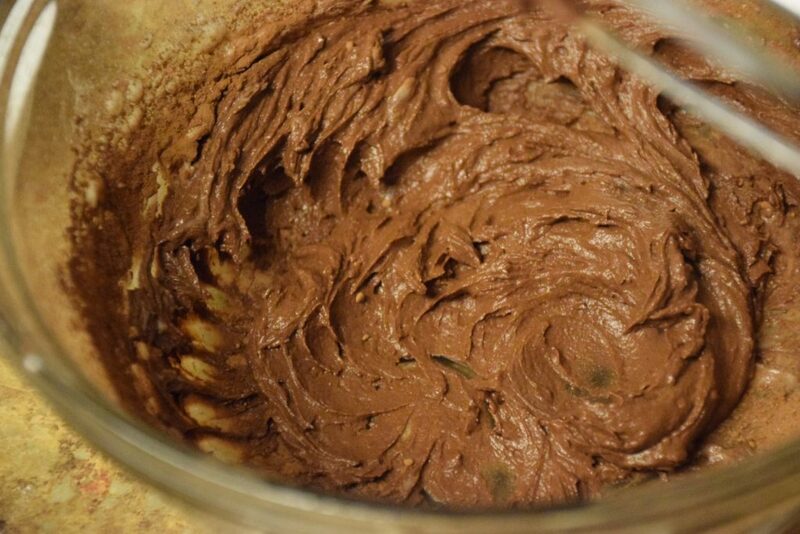 We start with baking the eggless chocolate cake. 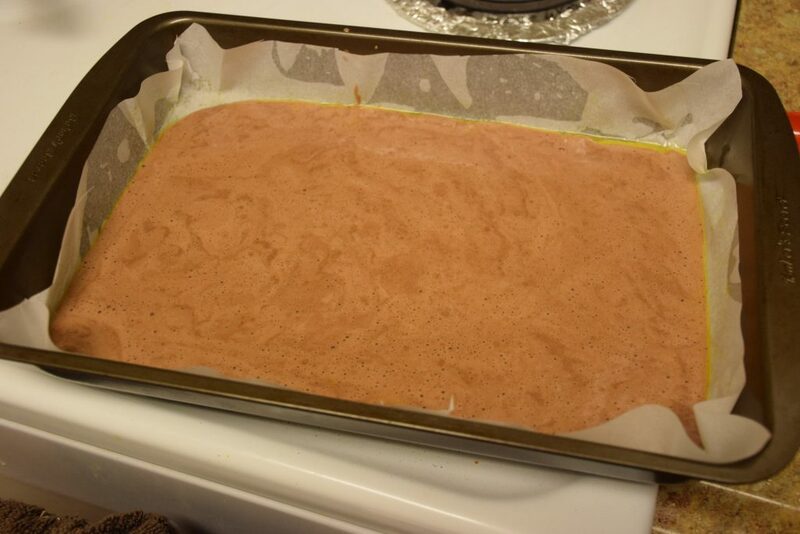 The cake will be a thin sheet which is easy to roll without cracks. So take a pan or tray which is at least 9" by 11" in size. Spray or oil it with non-stick baking spray , line with parchment paper and then again grease it with butter or oil. Keep it aside. Apply the filling just prepared with a spatula or spoon and spread it evenly in an even thin layer. 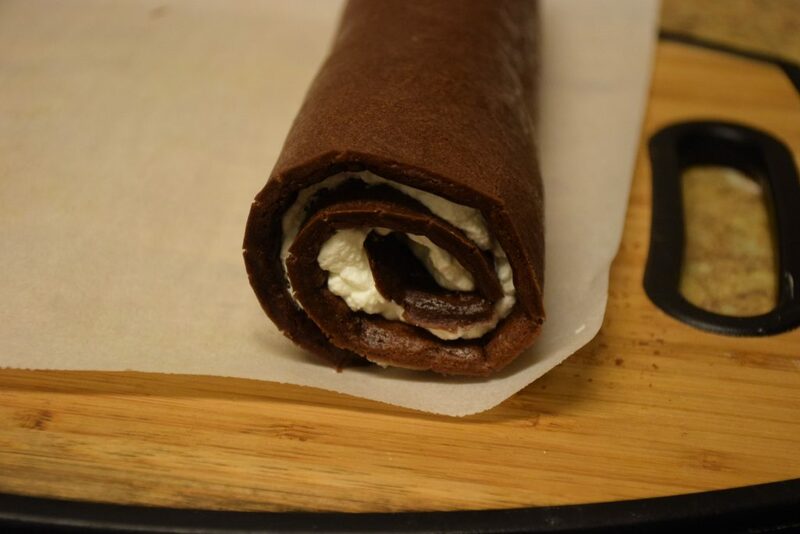 Don't add too much cream or it will get tougher to roll. 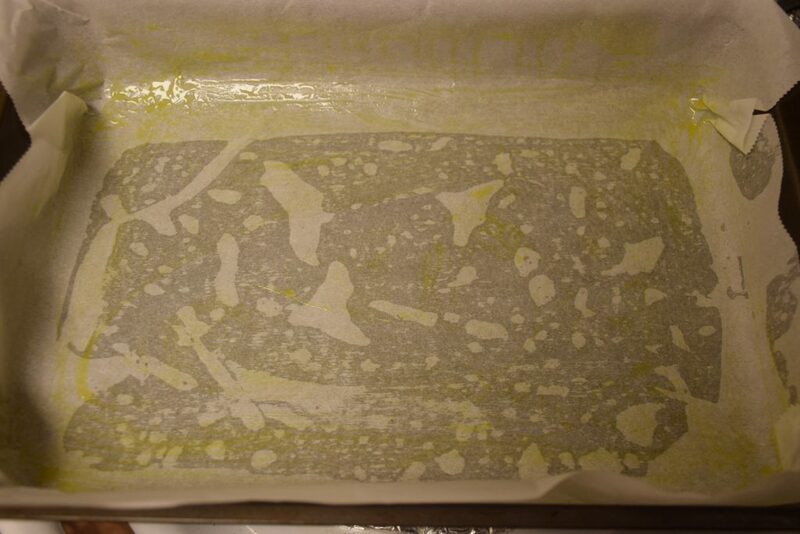 From one side (the width of the rectangle) start rolling the parchment paper with the cake with in a tight roll. 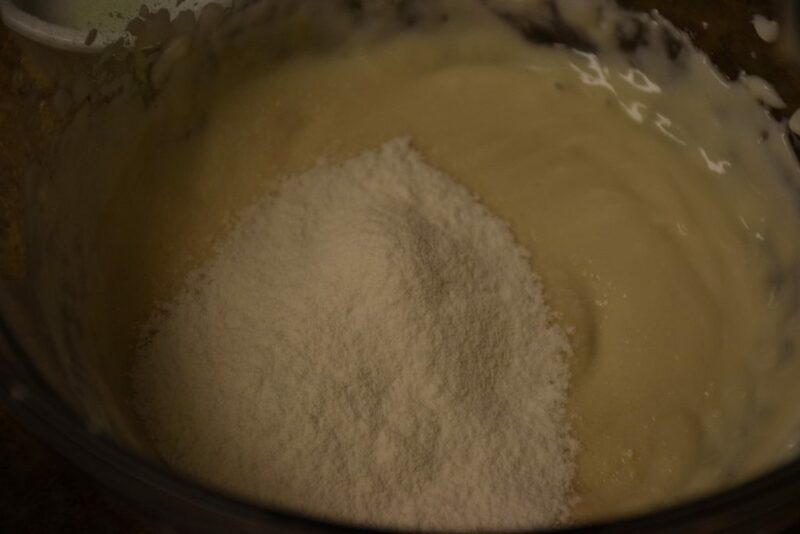 In a bowl ,add the chickpea's brine or aquafaba (as it is called) and beat it on high speed till you get a foamy white mixture. In a separate bowl, goes in the greek yogurt and beat with a different blade at high power. You may use regular yogurt too. In that case don't add milk in the recipe and adjust the quantity of all purpose flour by increasing it in 1 tbsp level.Add sugar in parts and keep beating at high power. Add the oil, milk and vanilla and stir them again. 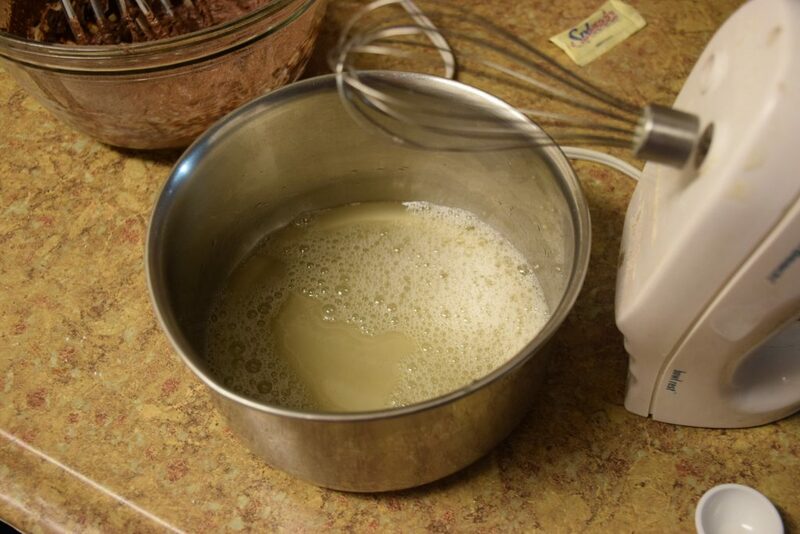 Now add the flour mix in parts and fold the batter . 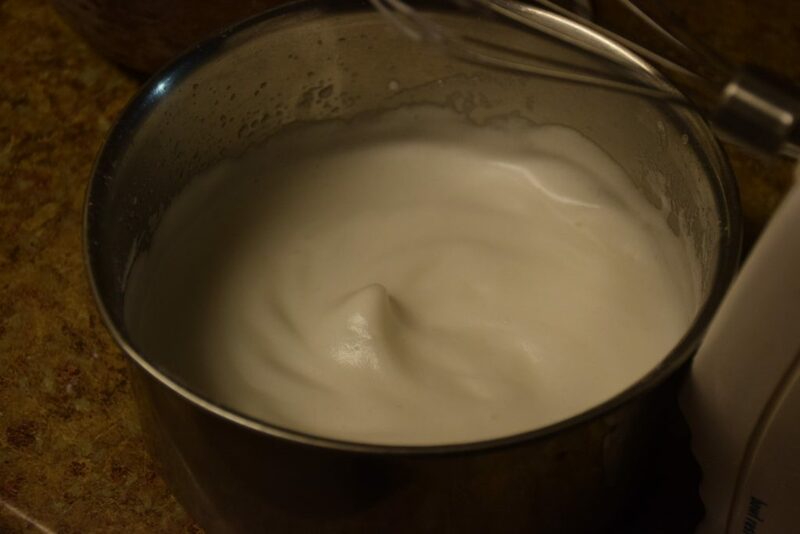 Gently fold the foamy aquafaba with the batter with spatula, such that it doesn't get flat. 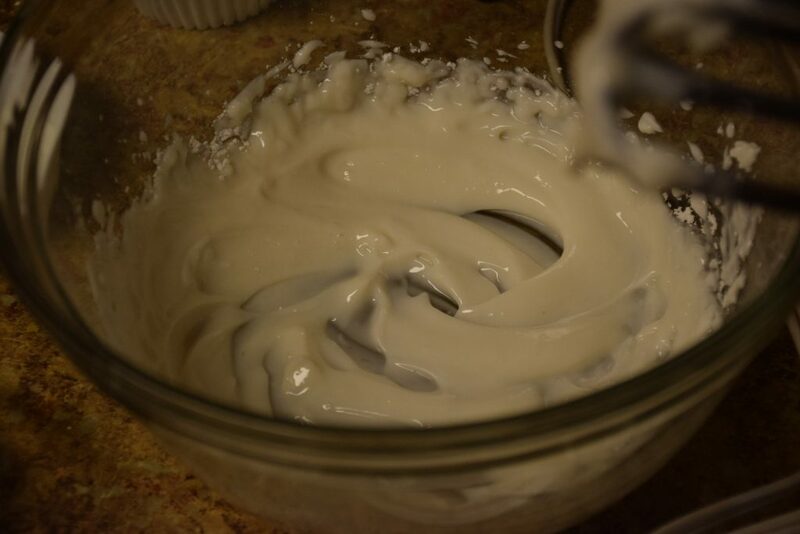 The air incorporated in the aquafaba will help in the cake-rise and sponginess too. Pour the batter in the prepared tray and tap it multiple times on the counter so that the excess air escapes and the bubbles pop out. Bake it for 10 to 12 mins. Check after 10 mins for doneness. If the toothpick inserted in the center comes out clean, it is done. It bakes pretty fast, because of the thin layer and high temperature. Take it out. Let it cool down for 10 mins. It cools quickly too. In the meanwhile , lets preparare its filling. 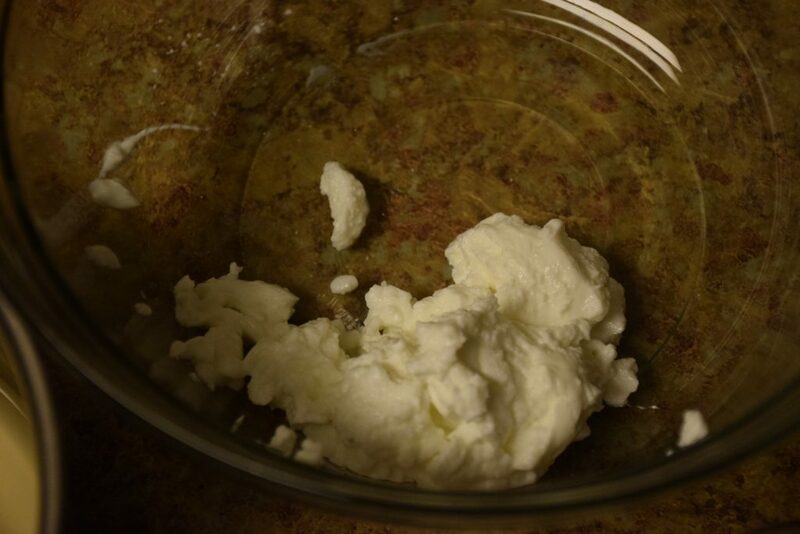 Filling : You may use ready-made cream cheese spread (strawberry / plain) if you like it. 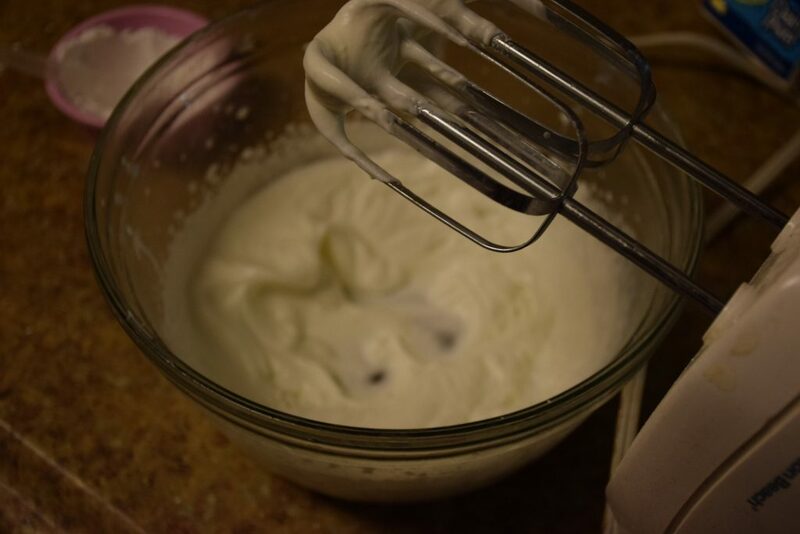 Or you may prepare the cream filling using heavy whipping cream. 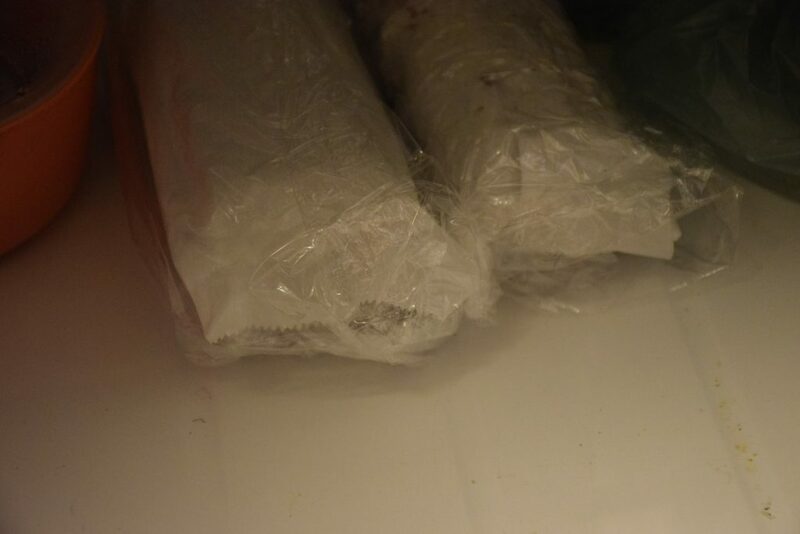 For this keep ur blades, and bowl in freezer for 5-10 mins until they are chilled. 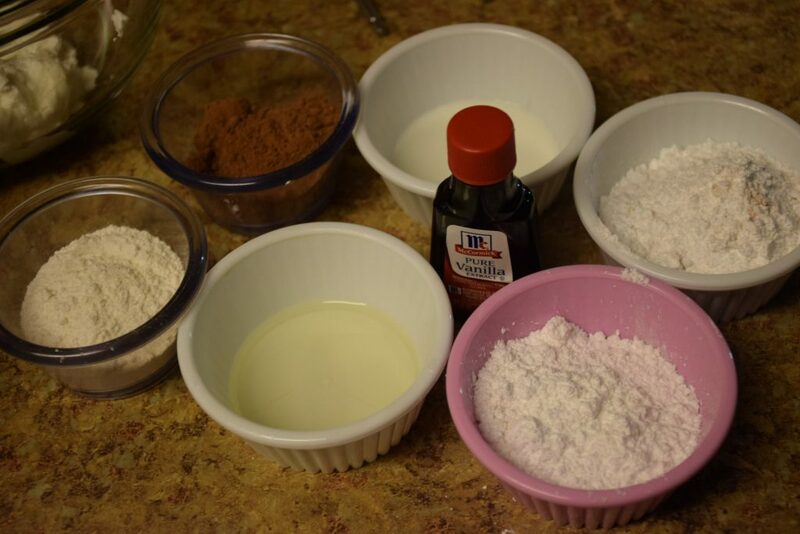 Use cold whipping cream and powdered sugar. 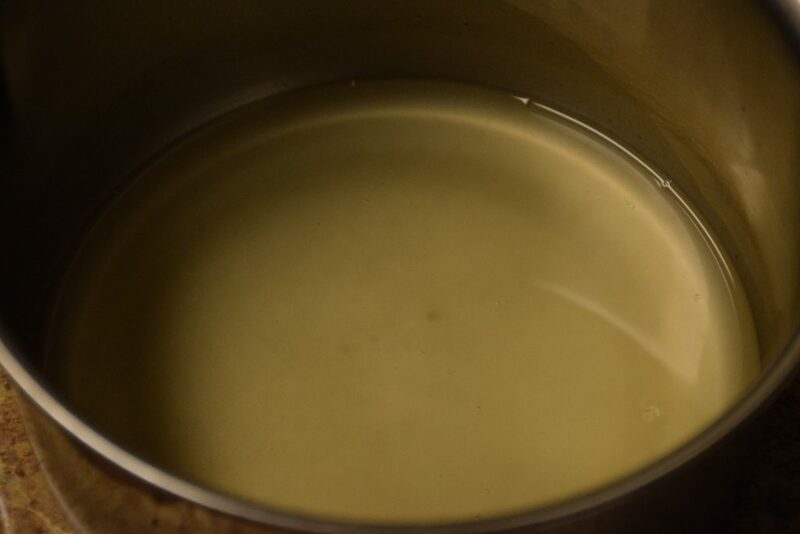 Start beating the cream at high speed untill it gets thickened. 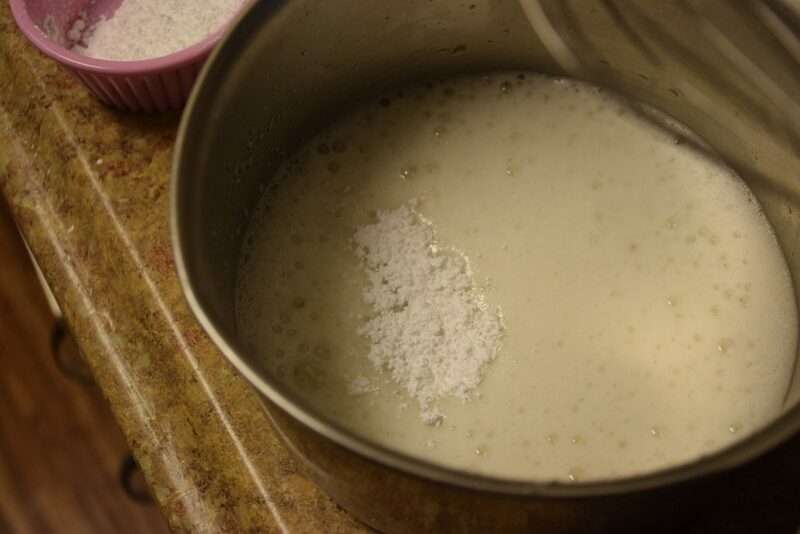 Add sugar 1 tsp at a time and continue beating till you see stiff peaks. 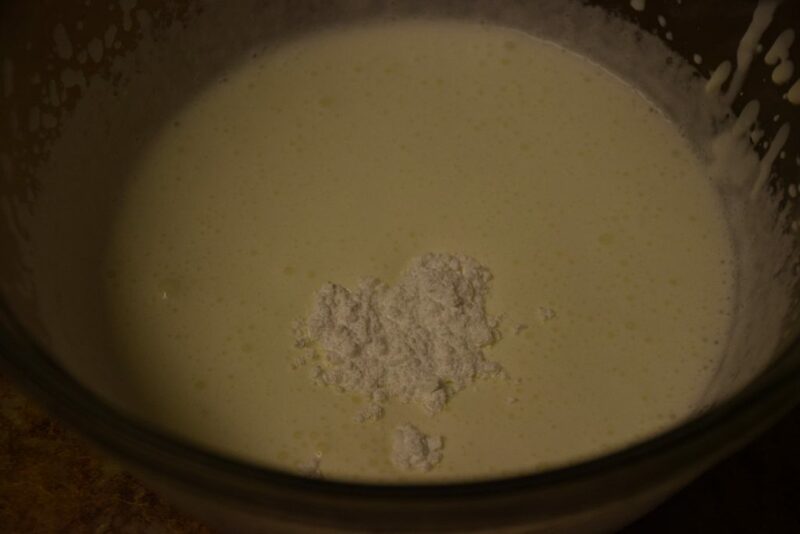 I added in all 6 tsp sugar for 150 ml of cream. 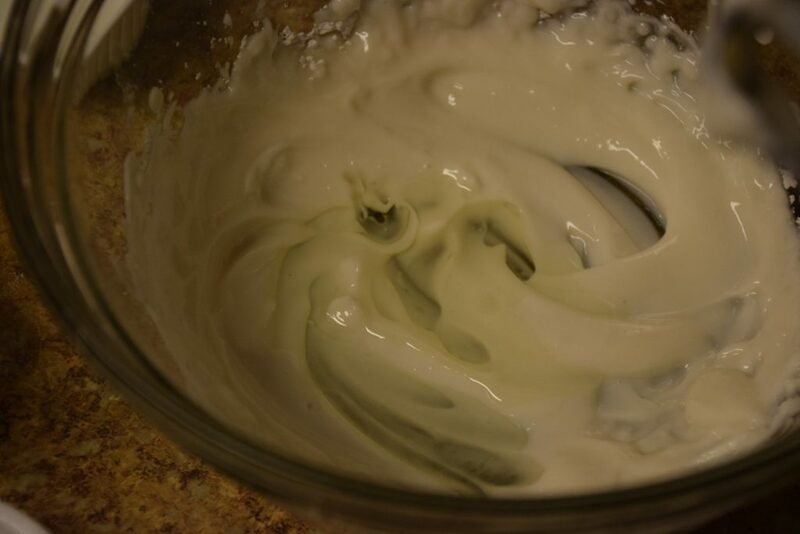 The cream would not fall off even if you invert the bowl. 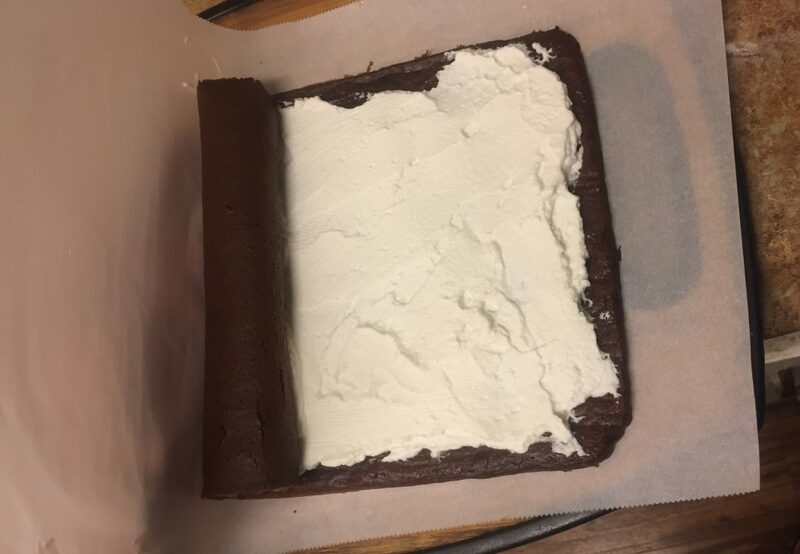 Assembling: Carefully invert the cake on a tray lined with parchment paper. Peel off the parchment paper coating gently. 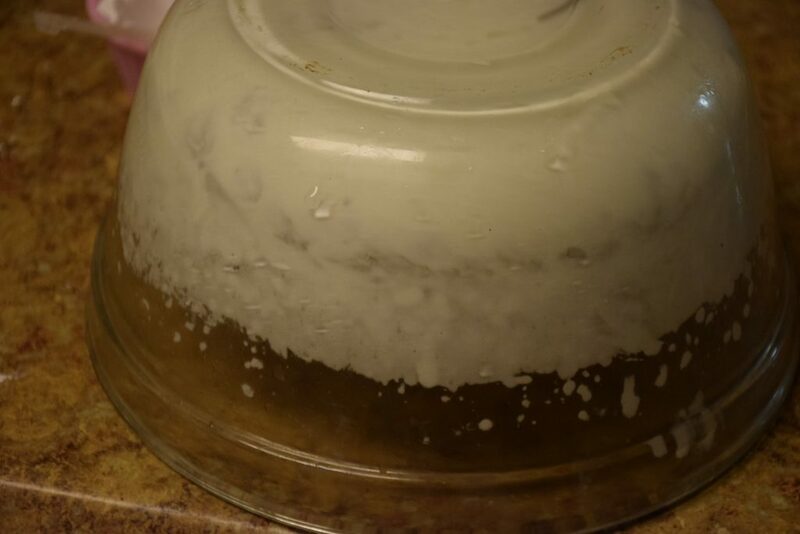 It would come off clean , if the cake is perfectly baked and cooled. 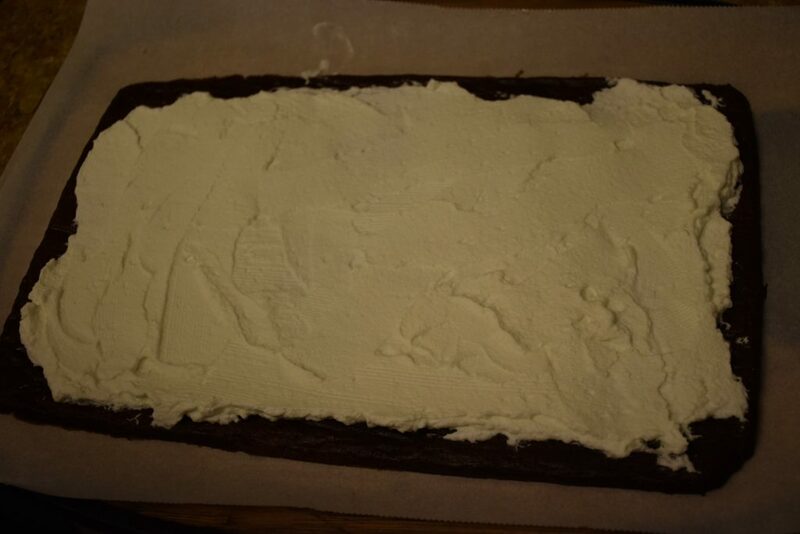 From one side (the width of the rectangle) start rolling the parchment paper with the cake in a tight roll. Wrap it in a plastic freshwrapp or parchment paper.Refrigerate it overnight or freeze it for an hour. Now cut slices of equal thickness and serve. 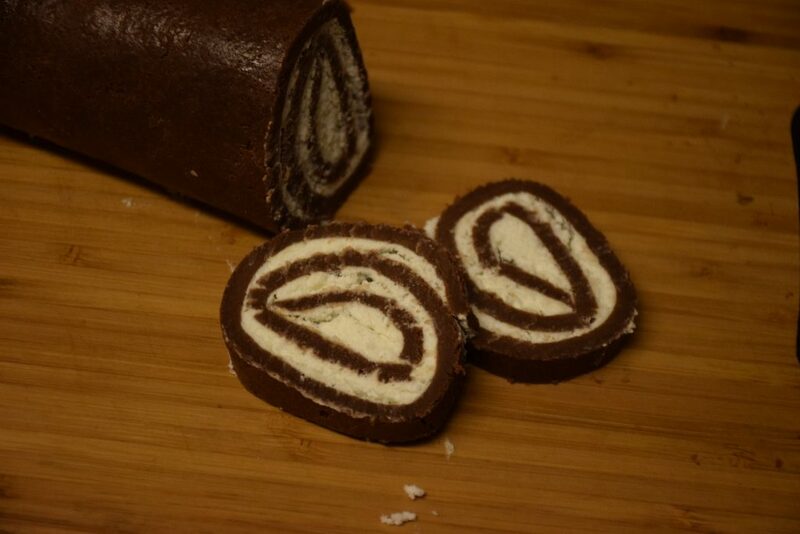 Alternately you may garnish it with chocolate ganache or dust it with powdered sugar before serving. This entry was posted in Desserts, Food, Recipes and tagged American, aquafaba, Carenshare, Central europe, Chocolate log, Chocolate swiss roll, eggless, even smooth rolling, Halloween, Hong-Kong, India, Indonesia, Italy, Japan, New York, no baking powder, no baking soda, no cracks, no eggs, origin, parchment paper, perfect sponge, perfectly risen, shweta jindal, soft, sponge cake, springy, swiss roll, treat, trick, UK, wax paper, without baking powder, without soda, zindagisikhati. Will definitely try & let you know. But you haven’t mentioned what temperature to bake at? Thank you Meeral !! Please read the recipe carefully . You will find that I have baked at 400 degree F or 200 degree C.
Hi Shweta, this looks lovely and would like to try it out soon. 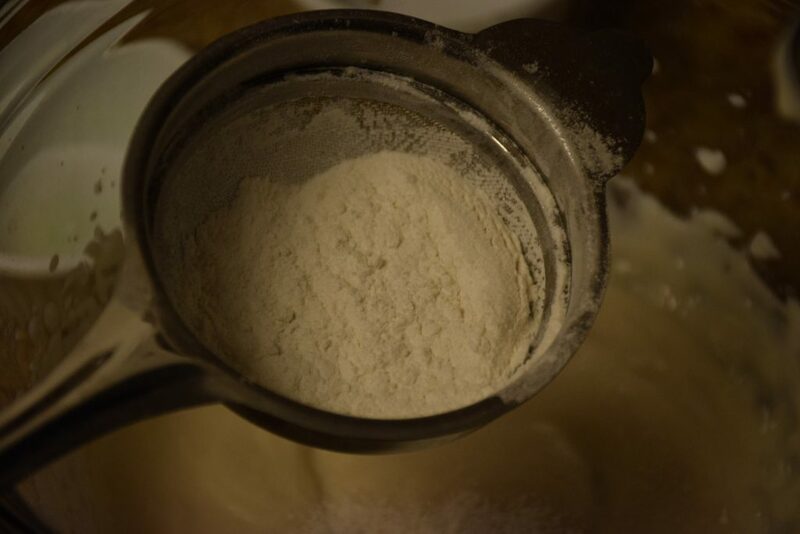 Though, I have small clarification, like when you were beating the aquafaba, what did you added in it, something like white powder as shown in one of the pic. Thank you for your compliments ! Initially beat Aquafaba only and when you see it gets foamy, then start adding powdered sugar in it. Just enough to make it in stiff peak consistency batter. I have updated the post!